If you’re considering taking the leap of faith and moving to a new country, that’s probably about all you want to handle right now. The move itself will require enough of your attention, so number one, building a house most likely isn’t a desire for you, and number two, purchasing one must go smoothly. Of course, you want to find the home of your dreams and not be forced to settle. Don’t think for a second that this is too good to be true. It can happen, and it will with our professional expertise. If you want to own your own property but aren’t too fond of some of the more laboring aspects of home ownership, a condo may be the perfect fit for you. There are many reasons why condos make for great investments, and if you haven’t ever considered it before, now is the time. 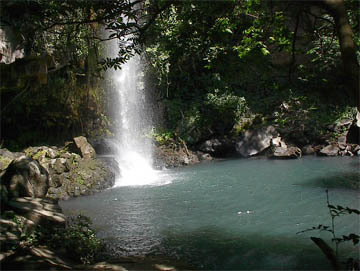 Either way, you’ll want to browse our listings to catch a glimpse of Costa Rican real estate. The lifestyle that accompanies these investments is invaluable. It’s likely that you’ve been to Costa Rica before, provided you’re looking at a real estate site and contemplating moving there. If you haven’t though, which isn’t too unbelievable (a lot of people have a lot of compelling things to say about the country), you can find just about all you need to know right here on this site. Whether you’d prefer a condo in a golf resort or in an upscale community, we’ll get right to work and won’t stop until we find the best match. Just because you’re ruling out owning land doesn’t mean you won’t get to enjoy any of the perks. Some condos still include land access and rights, such as the ability to pick the fruit that grows right outside your door. We’ll be happy to discuss with you your plans, expectations, and how we can help. Our expertise and familiarity will be resources you can benefit from, so let’s start exploring the real estate market of Costa Rica together.